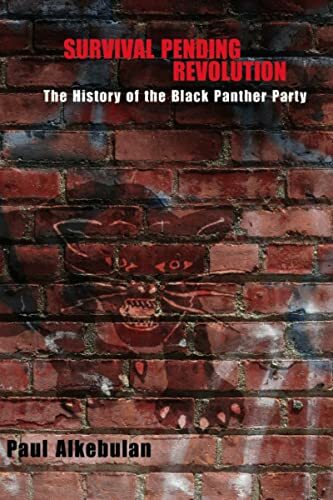 The Black Panther Party (BPP) seized the attention of America in the frenetic days of the late 1960s when a series of assassinations, discontent with the Vietnam War, and impatience with lingering racial discrimination roiled the United States, particularly its cities. The BPP inspired dread among the American body politic while receiving support from many urban black youths. The images of angry and armed young black radicals in the streets of U.S. cities seemed a stunning reversal and repudiation of the accommodationist and assimilationist black goals associated with Martin Luther King's movement, as well as an unprecedented defiance of the civil power. Although many have written about the BPP in memoirs and polemics, Survival Pending Revolution contributes to a new generation of objective, analytical BPP studies that are sorely needed. Alkebulan displays the entire movement's history: its lofty and even idealistic goals and its in-your-face rhetoric, its strategies, tactics, and the internal divisions and ego clashes, drawing upon public records as well as the memories of both leaders and foot soldiers, to attempt a description that both understands the inner workings of the BPP and its role in the greater society.